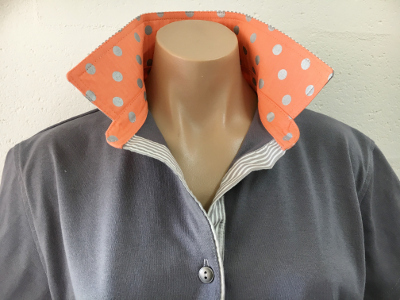 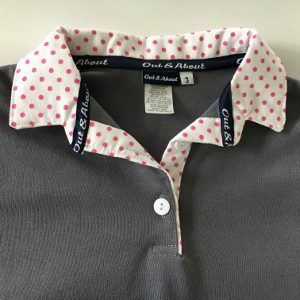 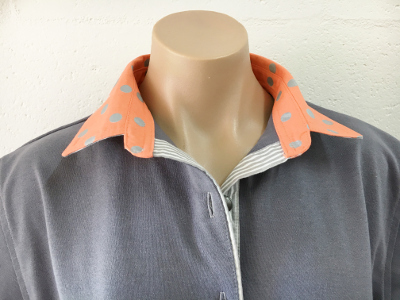 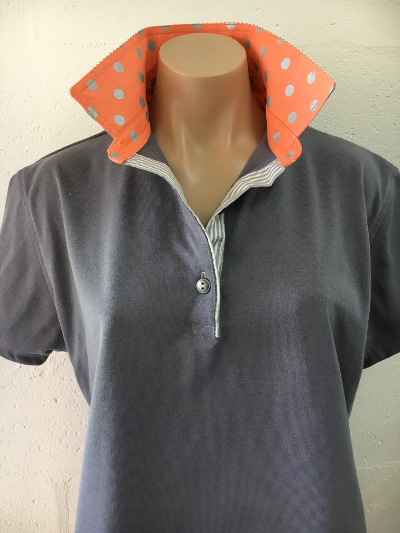 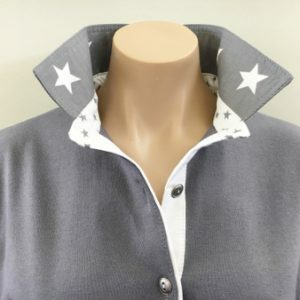 Ash grey coloured rugby with orange/silver spot on the top of the collar and both collar stands. 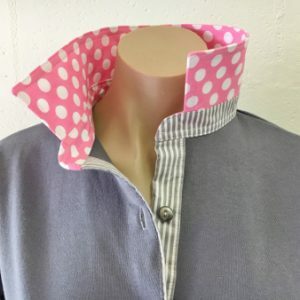 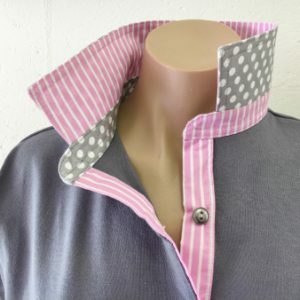 Grey stripe tab and back collar. 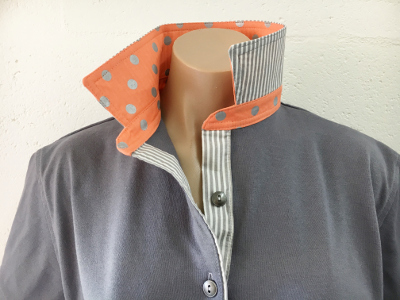 Silver buttons.